NUNM mourns the loss of Charlee Moore, philanthropist, health advocate, co-founder of Bob’s Red Mill, and beloved wife and mother. Charlee, along with her husband Bob Moore, have been very dear friends to NUNM for many years. 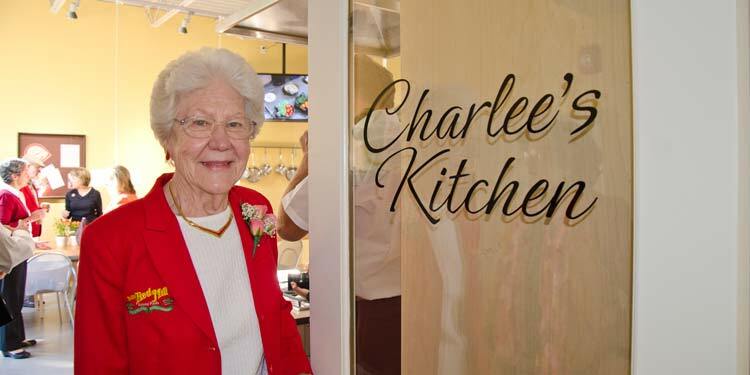 She is the namesake of NUNM’s Charlee’s Kitchen, funded by the Moores, where many in the Portland community have now had the opportunity to learn about whole foods, nutrition and creating tasty simple recipes. Charlee will be interred this weekend. We’re honored to share the obituary of this remarkable woman and her legacy.